CRANBURY, N.J. (August 21, 2017) Pharmacy Times® and Parata Systems, founding partners of the Next-Generation Pharmacist® awards, congratulate the 2017 winners named at Saturday evening’s award gala at the San Diego Zoo. 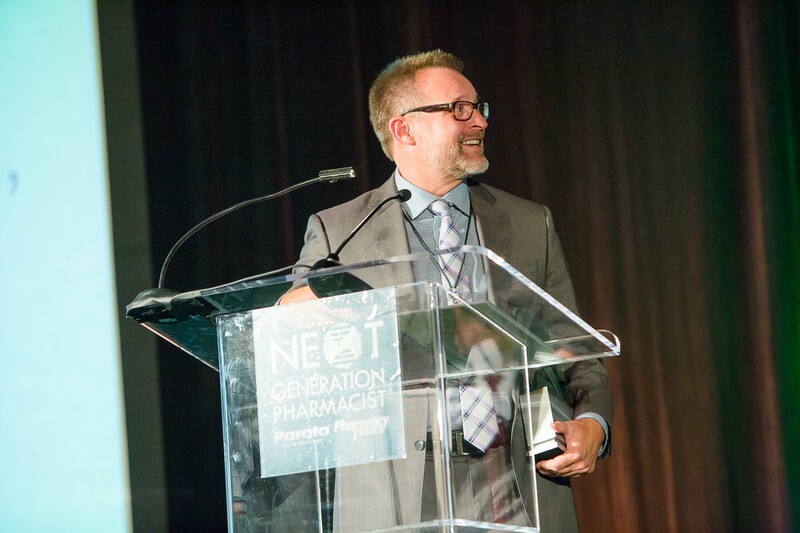 Jeffrey Goad, PharmD, MPH, professor and pharmacy practice chairman of the Chapman University School of Pharmacy in Irvine, California, received the evening’s top honor: 2017 Next-Generation Pharmacist. Goad will be featured on the cover of the August 2017 issue of Pharmacy Times®, which will contain a profile of his contributions to the industry. Next-Generation Pharmacist nominations surpassed 530 entries across 10 award categories. An independent panel of esteemed judges evaluated all entries for adherence to professional standards, experience as it relates to each category, and advancement of the profession. The three highest scoring entries in each category were named finalists, and the top-scoring entry was named the category winner. The overall Next-Generation Pharmacist was selected from among the winners of the eight pharmacist categories. The 2017 Next-Generation Pharmacist Jeffrey Goad is an accomplished practitioner and leader in the field of pharmacy, immunizations, and travel medicine, committed to positively impacting the lives of patients. In addition to his work at Chapman University School of Pharmacy, Goad is the first pharmacist to become president of the California Immunization Coalition and the first North American pharmacist to be selected as a fellow in the International Society of Travel Medicine. Civic Leader: Wilma Wilbanks, RPh, Walgreens Co. Specialty Pharmacist: Mike Swarner, RPh, B.S. Pharmacy, Walgreens Co. Technician: Sarah E. Causey, CphT, Walgreens Co.
Parata Systems provides pharmacy technology solutions that empower pharmacists to elevate their role and help people lead healthier lives. Founded in Durham, North Carolina, in 2001, Parata is trusted by thousands of pharmacies throughout the United States and beyond. For more information, visit parata.com.